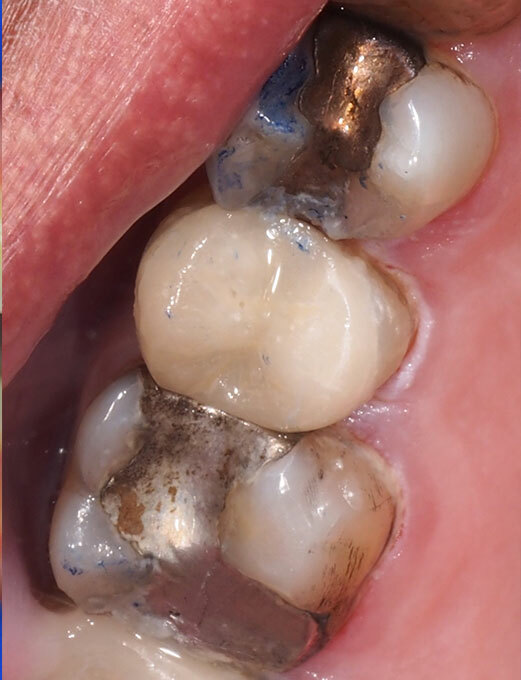 Cracks and splits within teeth are initially completely painless, but as they become larger and extend closer to the nerve, they can become more and more painful. 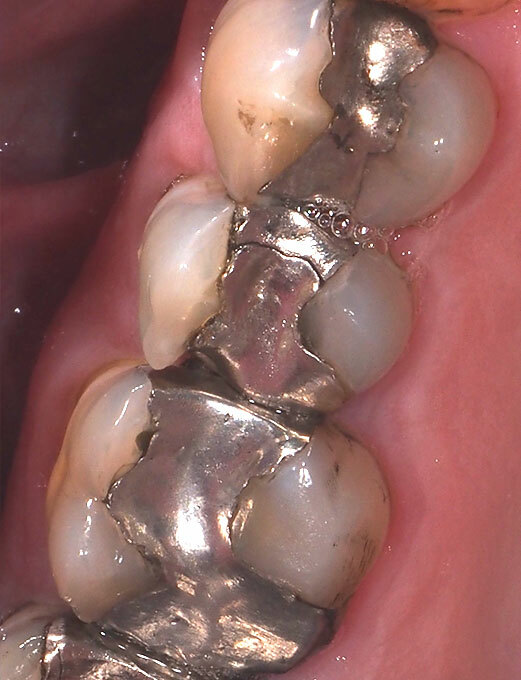 A visual assessment showed that it was clear that there was not only a crack in the old amalgam filling, but also a crack within the tooth. The appropriate tests were run which showed that luckily, the crack had not yet involved the nerve of the tooth. SV has had no symptoms after the ceramic reinforcement was placed. SV is still returning for regular assessment, but has been fine for the last 6 years.